At previous World Shows, the host facilities filled up fast! Don’t be disappointed. Reserve your room today to ensure your accommodations. 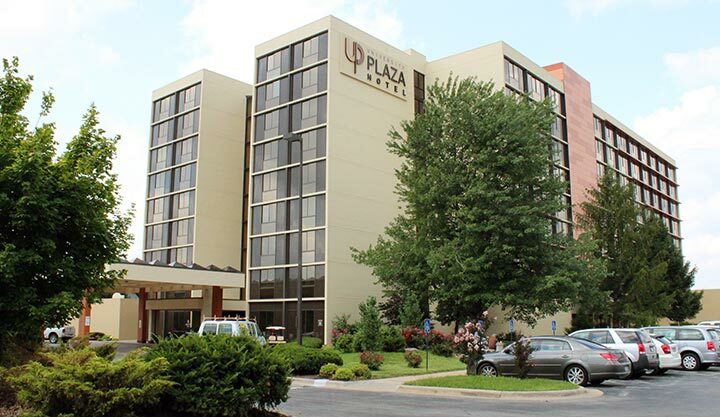 University Plaza Hotel Hotel (across the street from the Springfield Expo Center, on 5333 S John Q. Hammons Parkway, Springfield, MO 65806: $102.00 per night plus tax (two beds or king) including two breakfast buffets. This hotel is the location for the seminars and the Awards Banquet. Call 417-864-7333 and ask for the group rate for the World Taxidermy Championships. Update: We were informed January 25th that the Host Hotel for the WTC, University Plaza Hotel, is sold out for the nights of May 1, 2, 3. There are still a few rooms available for April 29, 30 and May 4 and 5. 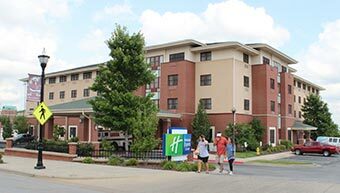 Overflow Hotel: Q Hotel and Suites (formerly Holiday Inn Express and Suites) located three blocks east of the Springfield Expo Center at 1117 E. St. Louis St., Springfield, MO 65806: $102.00 per night plus tax (two beds or king) including two breakfast buffets. Call 417-862-0070 and ask for the group rate for the World Taxidermy Championships. Do not use the internet to book a room. We were informed January 25th that our overflow hotel, the Holiday Inn Express & Suits, has changed it name to the Q Hotel & Suites. The management and phone number are still the same. There are plenty of rooms available at this time, but you must call to reserve a room. Call direct 417-862-0070 tell them the group code is WTC. The rooms are $102.00 per night and include breakfast. The Hotel is located three Blocks downhill from the Expo Center, location of the World Championships.